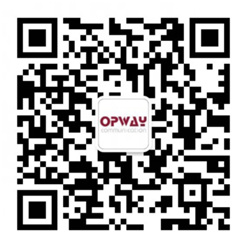 In order to value every employee, we are committed to providing the best possible environment for employees to achieve the maximum development and realize the personal value of each employee.In OPWAY, you can enjoy the following benefits. A) Pay housing accumulation fund for employees according to national regulations, basic social insurance (including endowment insurance, medical insurance, work-related injury insurance, unemployment insurance, maternity insurance), etc. B) Legally entitled to marriage leave, funeral leave, maternity leave, paternity leave and paid annual leave (with one year's seniority) as stipulated by national laws and local regulations. C) Organize various staff activities, cultural, recreational and recreational activities, dinner parties, mountain climbing, social activities and annual group Tours. D) Employees are entitled to holiday gift, gift giving, birthday celebration, etc. E) Provide transportation subsidy and communication subsidy, and provide shuttle service. A) Orientation training, industry and product knowledge training, quality knowledge training, post skills, business skills training, etc. B) To understand and analyze the training needs of new and old employees and meet them. C) Assist in developing career plans for employees and strive to provide appropriate development platforms.